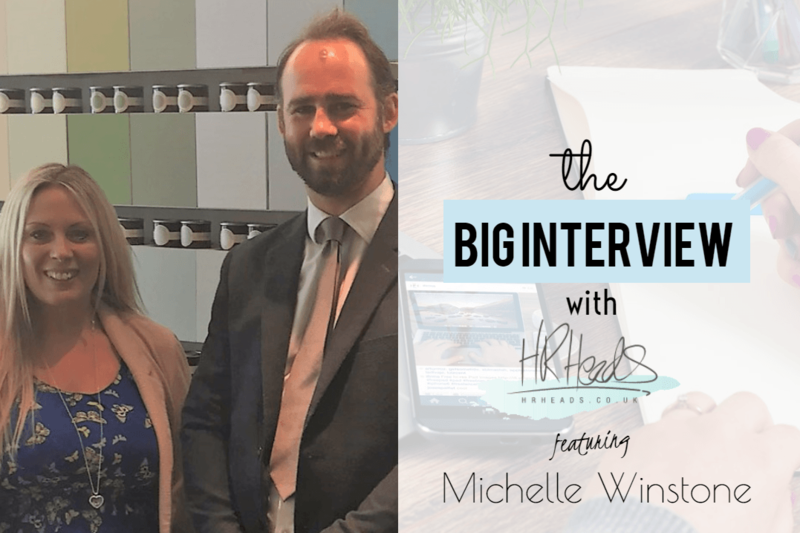 The HR Heads Career Profiling Series | We speak with HR Leaders to find out what 'a typical day in the office' looks like, what they consider their greatest career success to be, the advice they'd give their 20 year old self and much more... This edition features Michelle Winstone, Head of People and Development at Farrow & Ball. I just sort of fell into HR, it was never a career plan for me! During university (where I studied geography) I worked at Tesco to support myself. I never really knew what I wanted to do and people always suggested I go into teaching after I graduated, but I never fancied working with children. I’ve always really liked people though, and having people around me, so when the opportunity arose I applied for the graduate scheme with Tesco – because I was already a Deputy Manager I was able to fast track through. I gained a lot of business knowledge from this which I really liked, and particularly enjoyed the ‘Personnel’ department (before it was known as HR!) so decided to specialise in it and became a Personnel Manager for Tesco Express. Gradually, I moved my way through bigger stores – and that’s how my journey began! My time with Tesco gave me such a good grounding. I knew I didn’t want to be a HR person sat in an office, I wanted to be in fast moving businesses with fantastic products. I’m lucky enough to say that all of my roles have been with great brands, and great products – which is exactly what I wanted to do. My typical day starts with dropping my daughter to nursery at 8:15, before heading into the office to go through emails and meet with my team. I always try and catch up with people from a social perspective – it’s so important to know your team on a personal level and understand what’s going on in their lives and what matters to them. I’ve always got plenty of regular meetings booked in throughout the day, mixed in with various adhoc tasks like working on strategies or coaching a manager, working on a project, conducting one to ones and budgeting. There’s so much variety that no two days are the same which I love about my role! As well as the variety, what else do you really love about your role? In terms of size, we’re quite a small business – we have 680 employees across the globe and with 15 in the People and Development team we can really make a big impact for our employees. I can directly see the results of what we’re doing and that gives me so much job satisfaction. I’ve worked in bigger organisations before which I loved, and my time there helped me with a lot of the processes I put in place at Farrow & Ball. For example, in the UK we were only offering statutory benefits when I started four years ago, but by understanding what our employees want we’ve turned this around and now offer benefits that are very competitive in the market. Seeing such positive results in our employee engagement surveys or hearing somebody say ‘I love this new benefit’ makes me really proud. 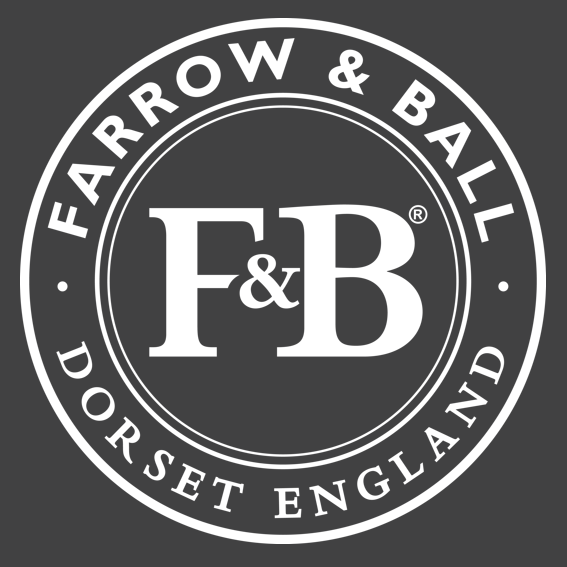 How is Farrow & Ball received in the US and Canada? We are really well received in the US and Canada, I think people really love the fact that we’re a British brand and have a strong heritage. With 15 showrooms in North America and Canada we have to adapt our approach to fit the culture so I have a People and Development Partner dedicated to the US who is based in the UK, but regularly travels to the US and has calls with the team there to make sure they are connected to what’s happening here. As you get more senior in your HR role, what are the challenges you can face? I suppose one challenge is feeling a little isolated, because of the nature of dealing with so many confidential issues. I’m not able to discuss my work with anybody as you would in any other role. This is particularly hard when you’re aware of how your actions will be affecting people’s lives. Confidentiality is part of the role so absolutely, it must be respected, but sometimes it can feel a little lonely. Another challenge I encounter is that at times we’re able to cater to the masses but other times, we just have to focus on one group. For example, when we rolled out our maternity pay benefit we were aware that the benefit was only available for a percentage of the work force. When you head up a business function you have to learn to delegate and trust your team. I want to help out with everything, so I find that that quite challenging. I have to accept that I can’t do it all myself but luckily I have a great team to support me with that. Looking ahead at the next 12 months, what lies ahead for you? We’ve just welcomed our new CEO which means we’ll be looking at things in a different way. I’ll be supporting this with a People and Development strategy to ensure we’re moving forward as a business together. A big thing for me at the moment is the recent restructure of my team and how we’re delivering. I’ve split the team to focus on two areas: People Operations which is the day-to-day heartbeat of HR, and People and Development which is tasked with gathering data that will help us drive engagement and development of our people. This team focuses on development, engagement and organisational design, and is heavily embedded and engaged with the business and all employees, managing processes like exit interviews as a chance to identify trends and gather all important information. This structure is fairly new but it means that as a business we’ll see HR in a different way which is key. Farrow & Ball is great at engaging with HR anyway and we’re very collaborated with the whole business so we’re very lucky in that respect. The door is always open! We are always looking at how we work better with the marketing function. Internally, our brand must represent our external brand. If this isn’t the case we’re going to look really disconnected as a business so it’s really important that we work together well. Can you tell us about your proudest career moments? I’m actually really proud that I’m able to juggle being a senior leader and a mum at the same time. I think I really underestimated how difficult it would be but having the backing of a business that’s very flexible and encourages women to come back to work has enabled me to be both. I came back to work when my daughter was five and a half months old. It was a tough thing to do, and it’s not for everybody – I have dealt with my own share of ‘mum guilt’ around not staying at home, but I’ve changed; I’ve become more flexible and my priorities have changed. As a business, we’ve actually put some guidelines in place around flexible working so that people feel empowered and comfortable enough to work in a way that suits them. We’ve created a very trusting environment, making core hours between 10am – 4pm and giving employees to option to flex their time around it. In addition, we created summer hours, where people roll up their hours during the week and finish at 2pm on a Friday. This way, our people can achieve a great work/life balance and can manage time in a way that works well for them. If you could give advice to your 20 years old self, what would it be? The phrase that sticks with me is ‘don’t try to run before you can walk’ – it’s important to gain as much experience as possible. As a 20 year old in my career I used to think that the most important goal was the next promotion but luckily I ended up experiencing different specialisms and looking at all the different part of HR. I spent some time in projects, managing contracts and looking at engagement surveys and I feel like I’m a better leader because of that! What top tips would you give to somebody hoping to be successful in HR? At some point in your early career, try and do a placement in a business area. Being the manager in a business area will help you appreciate what they’re going through so when you take your position in HR, you’re better equipped to make a difference. Be flexible – HR is all about rules, regulations and laws, but there are ways to deal with this differently. Rather than being a HR brick wall you can navigate around issues that you may face – looking instead to the end goal and finding the quickest and best route to it. What skills do you consider essential to be a great HR Leader? Outside of work, what are the things that matter to you? I really like reading. I actually read and run at the same time – on the treadmill at home, I get the iPad out with a good book and that’s my switch off time! I quite like Dan Brown, Chris Kuzneski – those kind of books. I’m not one for a romantic novel! My partner plays rugby for the Tottonians, so I take our daughter and we watch him play. We love it – it’s a great family atmosphere too. We’re also quite avid Saracens F.C. fans so we always try, when we can, to get away together and watch the six nations games in Ireland or Italy. That sounds brilliant. Is that your ideal kind of holiday? What I would love to say is; a lazy beach holiday with lots of nice cocktails and food, but that’s now changed – what I like and what I do have become two very different things. Nowadays it’s all about kids club, holiday villages, entertainment… it’s a shock to the system, but it’s great too in its own way. Is work / life balance important to you? Absolutely, and it is to Farrow & Ball as well. We measure on output, not input. There’s no sense of presenteeism here like there is in so many offices. I couldn’t do this job if I didn’t have the support from the business to be flexible in my role.